DES MOINES, Iowa -- Ted Cruz opened a new line of attack on rival Marco Rubio on Tuesday over a government-backed biofuel mandate, despite the Texas senator himself holding a position on the issue that is viewed critically by many Iowans. The Renewable Fuel Standard is a government requirement passed by Congress in 2007 that forces the U.S. fuel supply to use a certain amount of biofuels, including ethanol. The law, because of its biofuel requirements, is considered a major boon to Iowa’s economy. But Cruz, and other conservatives, suggests the law should be eliminated because it picks “winners and losers” in the energy market. Rubio has expressed opposition to the RFS as well – but only after the law expires in 2022 to avoid a sudden, big economic hit on farmers. 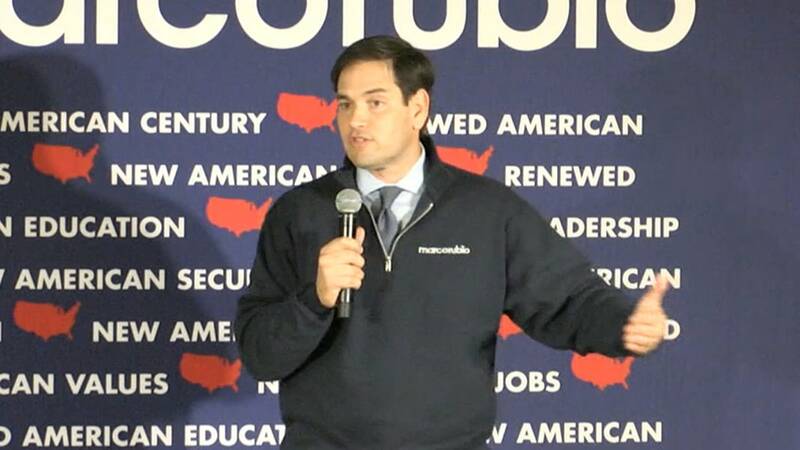 Ethanol backers in the state also understand Rubio will only support the elimination of the RFS if subsidies for other energy markets, including oil, are eliminated concurrently. Derek Eadon, a senior adviser for the group, said the organization is spending more than $100,000 over the next two weeks – and told NBC News this is just the “opening salvo in the campaign” against Cruz over his support for ending the RFS. Eadon said the group is also going up with online digital ads and direct mail targeting Republican caucus goers. But firing back against what it called the “false attack ads,” the Cruz campaign sent a letter on Tuesday night to the Iowa radio stations asking them to stop airing them. Contrary to the ad’s suggestion, Tyler told NBC News on Tuesday night that the Cruz “is for eliminating all energy-specific subsidies,” like oil and others sources of energy, not just the RFS. But Tyler, nor Cruz in public comments, would commit to ensuring the biofuel mandate is eliminated only if oil and other subsidies are ended at the same time. The campaign has also yet to commit to not push for eliminating the RFS prior to its official expiration in 2022. Cruz has acknowledged in the past that the popular, preferred position farmers in Iowa would like him to take would be to support the continuation of the RFS. The president of the Iowa Corn Growers Association, which represents 8,000 farmers in the state, has expressed his opposition to Cruz’s position, too. America’s Renewable Future launched in January with the support of Iowa’s Republican Gov. Terry Branstad. It is led by his son, Eric Branstad, and Eadon, an Iowa Democratic operative. The group has 20 full-time staff on the ground in Iowa. Eric Branstad said the group is “ready to do what we need to do” over the next two months. It intends to run ads, solely targeting Cruz, across the state beyond this first two-week ad buy. “We have saved for this moment,” Branstad said.